The digitization of world in various areas including health care domain has brought up remarkable changes. Electronic Health Records (EHRs) have emerged for maintaining and analyzing health care real data online unlike traditional paper based system to accelerate clinical environment for providing better healthcare. These digitized health care records are form of Big Data, not because of the fact they are voluminous but also they are real time, dynamic, sporadic and heterogeneous in nature. It is desirable to extract relevant information from EHRs to facilitate various stakeholders of the clinical environment. 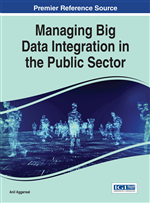 The role, scope and impact of Big Data paradigm on health care is discussed in this chapter. Volume: Health Care data is enormous. Velocity: Health Care data is delivered at various speeds and is dynamic. Variety: Health Care data is heterogeneous. Veracity: Health Care data is enormous; thus it is important to maintain its relevance and trustworthiness to give best possible benefits to the patients. Value: Health Care data is rich source of information and is useful if could be turned into valuable knowledge. Various Big Data platforms may prove beneficial for decision-making process in treatment plans under digitized health care systems. The applications of real-time health care systems e.g. detecting viral infections as early as possible, identifying various symptoms and parameters swiftly, reducing patient morbidity and mortality etc. electronically would revolutionize healthcare. Premier analyzes data various healthcare providers and enabling its members with high-performance, integrated and trusted information. University of Ontario Institute of Technology (UOIT) is using IBM big data technology to capture and analyze real-time data from medical monitors, alerting stakeholders to potential health problems for patients (Retrieved from http://www-01.ibm.com/software/data/bigdata/industry-healthcare.html). Various repositories such as Microsoft Health-Vault, Dossia are supporting health data analytics (Steinbrook, R., 2008). Various technology driven applications based on big data paradigm such as Asthma-polis developed for asthmatic patients for monitoring via GPS enabled tracker are emerging online. The dashboard technology is also emerging and RiseHealth is one such example of dashboards (Groves, P., Kayyali, B., Knott, D., & Van Kuiken, S., 2013).Wiki-Health is an emerging personal health training application. Cost reduction for health care services managed electronically (as few mentioned above) based on big data paradigms is a promising feature.